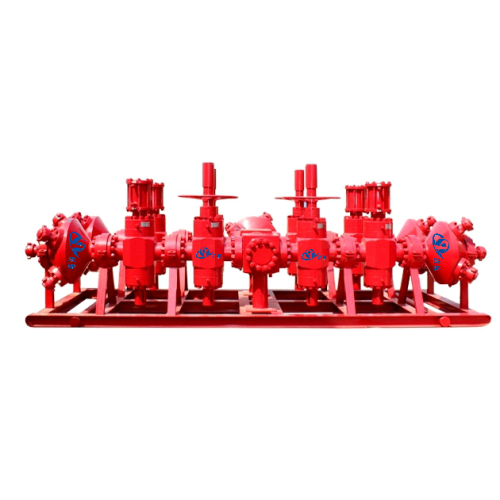 Frac Manifold or Zipper Manifolds are an arrangement of flow fittings and valves installed downstream of the frac pump output header(also referred to as "missle") and upstream of each frac tree being served by it. 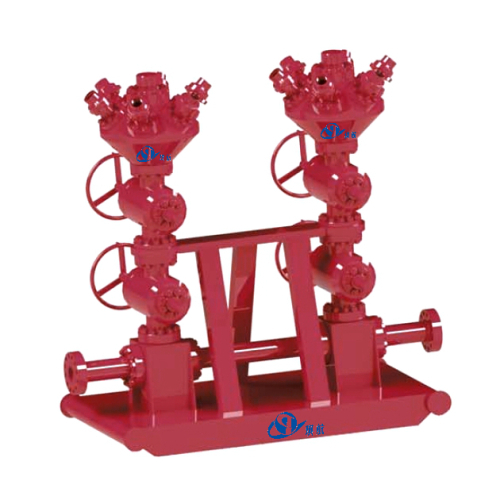 A Frac Manifold is mainly used for multiple well fracturing. 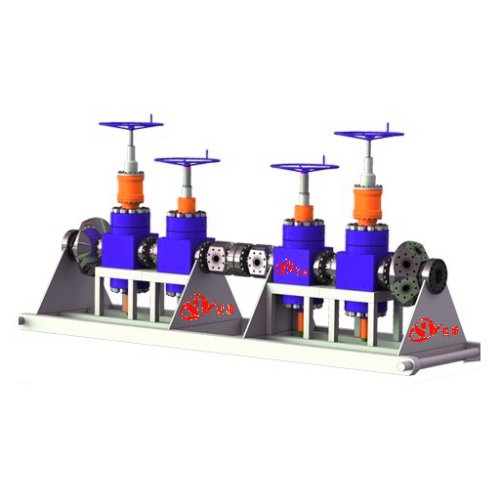 It is generally composed of frac valve, frac head/goat head, spacer spool, cross, skid, etc. It features multiple passages and several outlets through the frac head. 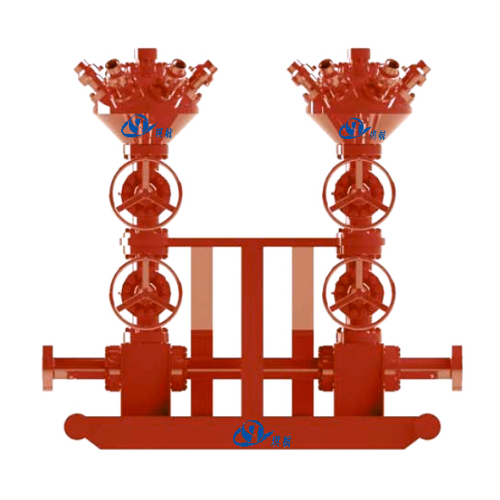 Passages open/close is controlled by frac valve, suitable for continuous frac operation of multiple wells. From the main supply line of the frac manifold, a dedicated frac supply line is installed to the goat head atop each well. 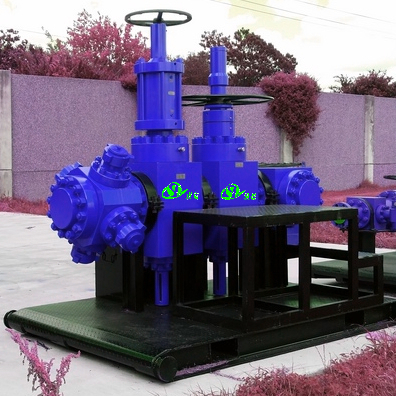 Utilizing this arrangement, the manifold is used to quickly isolate wells that have completed a frac cycle and for which intervention (plug and perforate) is now required, and to redirect the flow of frac fluid to a well that is prepared for the next frac cycle. 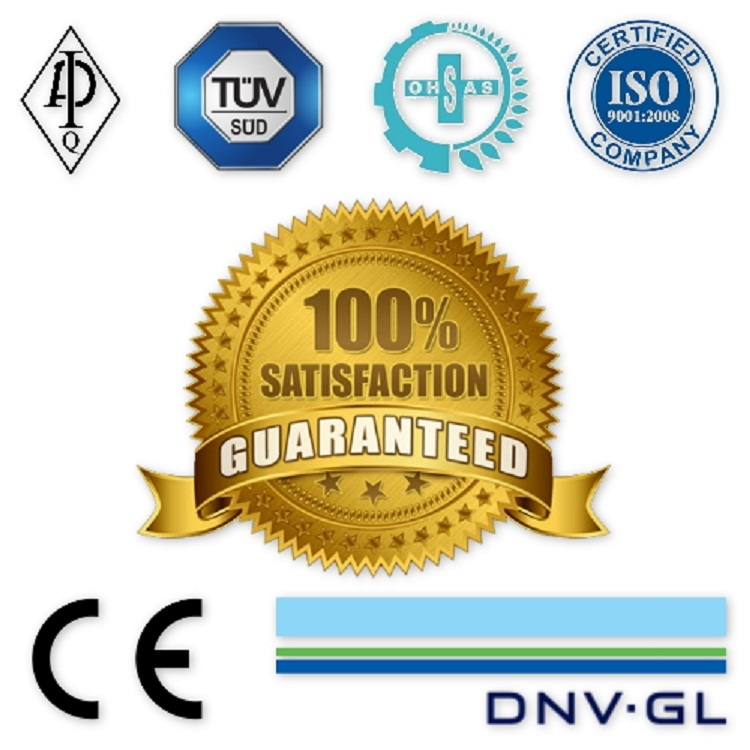 The use of actuated valves improves transition speed and eliminates the need for manual adjustment, reducing safety risk. The use of a frac manifold in this manner is called "zipper" or "zip" fracturing, and it can provide for almost continuous utilization of the frac crew and equipment, from the first treatment at the toe of the first well to the last treatment at the heel of the last well. This represents a substantial improvement to the effective use of the fracturing resources and, thus, to the overall economics of the well. Qihang's Frac Manifolds/Zipper Manifolds are fully designed, manufactured, and tested in accordance with API Spec 6A and API Spec 16C standards. Our Frac Manifolds come in many types of configuration, such as Dual Vertical Frac Manifold, Triple Vertical Frac Manifolds, Triple Scud Frac Manifold, 30 Degree Zipper Manifold, Straight Zipper Manifold, to name just a few. The frac valve sizes are available in 4-1/16", 5-1/8", 7-1/16", and 9" with pressure ratings at 5000PSI, 10000PSI, and 15000PSI. 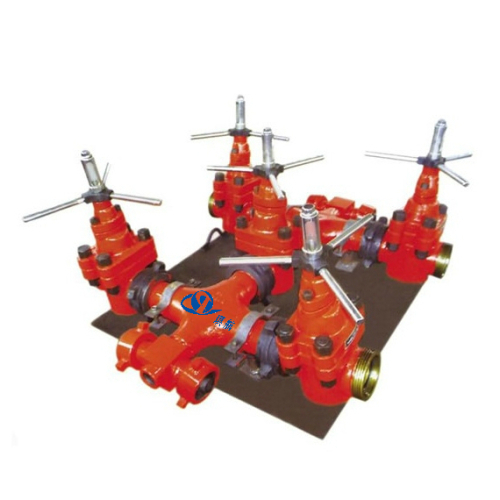 We are a professional manufacturer of wellhead xmas trees, API-6A valves, aside from frac manifolds/zipper manifolds, we also produce various types of choke manifolds, kill manfold, and mud standpipe manifolds etc. Bore: 4-1/16", 5-1/8", 7-1/16", 9"
Main Parts: Frac Valves, Frac Heads, Spacer Spools, Studded Cross, Skid, Flange etc. Traceability: Qihang's Frac Manifolds/Zipper Manifolds are supplied with full traceability documentation for each component. 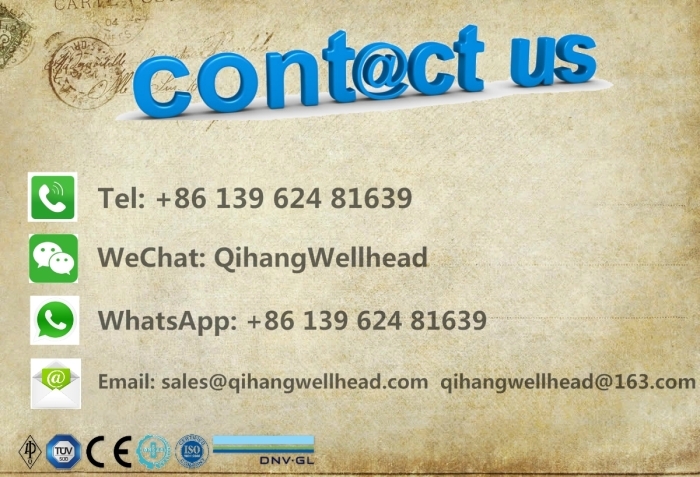 Main pressure containing and pressure controlling parts are integral forged steel with fine mechanical properties, resistant to erosion and corrosion. 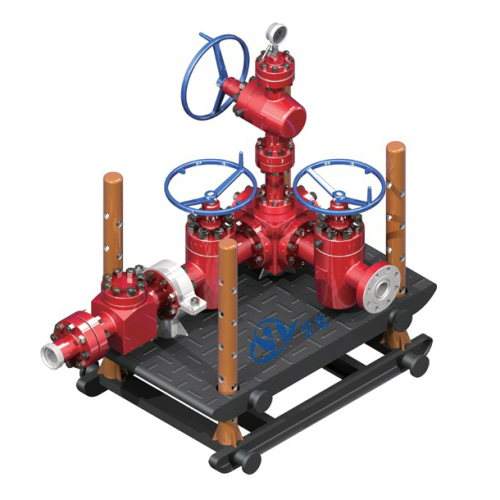 Frac valves are available with both manual and hydraulic types. Configurations including two-passage, three-passage, four-passage, H shape, straight shape and L shape are available for various layout. 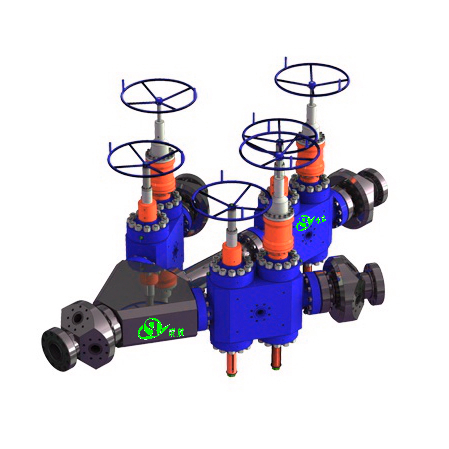 Multiple passages design and chain operation increase fracturing efficiency and reduce the cost. 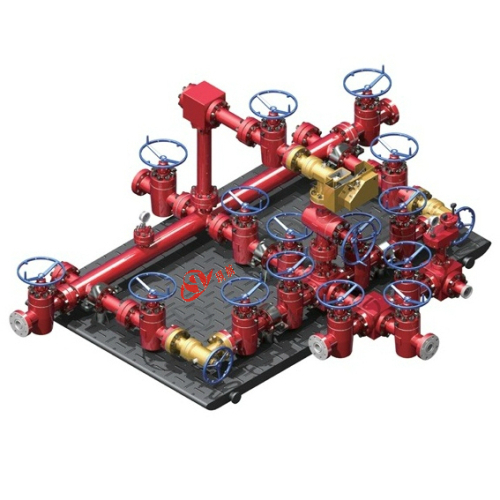 Qihang produces Top Quality API 6A API 16C Frac Manifold/Zipper Manifold at Truly Competitive Prices.